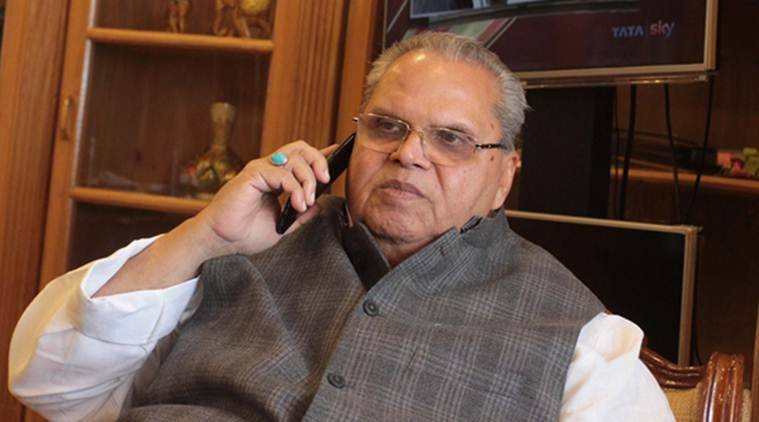 Jammu and Kashmir is likely to come under President’s rule on December 20 — after 28 years — with Governor Satya Pal Malik set to recommend Centre’s rule in his report to the Ministry of Home Affairs, officials said. The state, which has been under Governor’s rule since the BJP pulled out of the alliance with the Mehbooba Mufti-led PDP in June, was placed under Governor’s rule for the first time in 1977 with Malik’s tenure being the ninth. Unlike other states, the process of imposing President’s rule in J&K is more nuanced where the Governor rules for the first six months. Government officials told The Indian Express that they will soon seek approval from the Union cabinet for President’s rule in the Valley and it has to be ratified by Parliament. The President’s rule has not been imposed every time Governor’s rule was invoked in the past, with either elections being held within six months or political parties coming together to stake claim to form government, officials said. The President’s rule was earlier imposed in 1990 and lasted more than six years due to the sudden rise in terrorism and breakdown of law and order in the Valley. It was first imposed on March 6, 1986, officials said. The Supreme Court on December 11 had dismissed a petition challenging the J&K Governor’s decision to dissolve the state Assembly.